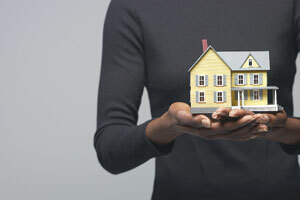 Home » Articles » What Would You Do? Creating a family emergency plan. Few could argue with the benefits of being prepared— either for a major disaster or for the million bumps in the road that all of us encounter. But how do you actually go about “getting a kit?” How do you “make a plan?” And as far as “being informed,” what’s the most reliable source of information in a world saturated with news? I set out to answer these crucial questions when I began making a plan for my family in the wake of Hurricane Katrina in 2005. The answers were not as easy to find as I expected. One of the first sobering things I discovered was that our government’s extensive plans for disaster are predicated on the notion that everyday people can be totally self-sufficient for at least three days. At the time, my family survived on Chinese delivery, Metrocards, a working elevator and air conditioning. How would we possibly make it on our own for 72 hours? After reading just about every pamphlet and preparedness guide, along with the top 35 books on preparedness available on Amazon, I felt pretty confident that I could lead the way if my family faced a disaster. Of course, I then corresponded with folks at the Department of Homeland Security, the Secret Service and FEMA, and I’m happy to say that I can save you the time of doing this research on your own. Here are the top five things you can do to make a family emergency plan. Assemble and document your family crisis management team. In short, make a list of the most critical phone numbers that you might need in an emergency. This may not be Aunt Millie in Kansas, but rather your insurance agent, pharmacist, veterinarian, children’s schools, caregivers and other key players in the health and well-being of your family close to home. Once you have assembled those numbers, record them in a transportable format, like wallet-sized cards, and make sure everyone in your family has a copy of the complete card with them at all times. Set up family meeting points. Pick a place near your house, somewhere far that is within walking distance and some place in between. Make sure everyone in your family knows these places and how to get to them. This way, even if phone lines are down and you cannot get home, you have three pre-designated meeting places. Create a family communication plan. Decide who in your family is in charge during a disaster. Then establish a call order that includes every family member, allowing the person in charge to fully disseminate news, plans and information. If for some reason the person in charge doesn’t call you in a crisis, the next in line is in charge. Copy, scan and save all of your critical documents. Every family member’s driver’s license, passport, social security card and work identification card, as well as insurance policies, wills, trust agreements, powers of attorney and other crucial documents, should be copied, scanned digitally and saved outside of the home and in a data cloud if possible. There is always the chance that you lose something critical, and having multiple saved copies increases your chance of having it when you need it most. Start building a cache of supplies that you can use whether you take immediate shelter or take with you in an emergency. There are millions of emergency lists available on the Internet. Your challenge is to limit the items in your emergency cache based on what is essential to you, not merely what would be nice to have. Ask yourself whether you would truly need a shovel or a backup set of medications in a crisis. Your cache should be small, portable and personal to you. While there are plenty of other steps that you can take, these first five cover almost all the contingencies you are likely to face. As a sixth step, I always recommend: Feel confident in your plan. Also take the time to enjoy the wonderful life that you are motivated to protect in the first place. Catherine Hooper believes that preparedness is the key to conquering fear. She is a mom in New York City and the president of Black Umbrella, a firm that builds emergency plans for families. Learn more at www.catherinehooper.com.